La Mejor Taza de Nariño and El Mejor Café de Cauca 2017 quality competitions showcased the dedication, hard work and exceptional coffee from small producers in Colombia. Hundreds of samples were submitted and diligently cupped by a panel of expert judges from InterAmerican and the FNC. The result was an array of coffees showcasing some of the best qualities from Nariño and Cauca. Best of Cauca and Nariño, Colombia, competition blend. 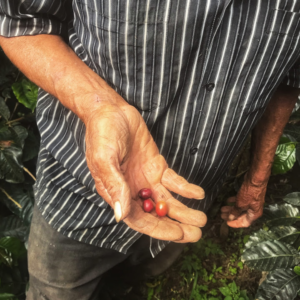 After the top 10 microlots were auctioned off at premium prices, there was a strong feeling of responsibility from all involved to bring the rest of these beautiful microlots to market. The idea of the competition blend was born! We wanted to continue to encourage these farmers to work towards quality. InterAmerican had the opportunity to select the best of these lots from each region, all from smallholder farmers (less than 1.3 hectares on average). We decided to combine them to create a taste of the La Mejor Taza de Nariño & El Mejor Café de Cauca. The results exceeded our expectations and we are thrilled, along with the farmers, to offer these two coffees to the North American market. What we love about this competition is the coffee really is a taste of the departments of Nariño and Cauca. The blend represents multiple municipalities and rewards coffee farmers who participated in the competition. The Nariño region of Colombia is known for producing top quality coffee. The Andes which begin in Chile and Argentina enter Colombia through Nariño and split into three ranges, these canyons offer very favorable microclimates. The hot air accumulates in the day while drifting up at night allowing coffee to mature slowly, therefore better quality. 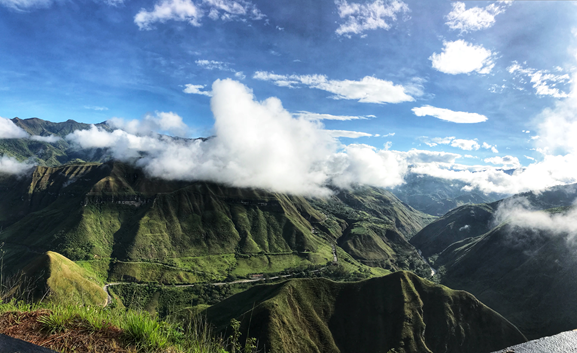 Nariño is situated at the equatorial line allowing for long days with lots of sunlight year-round. 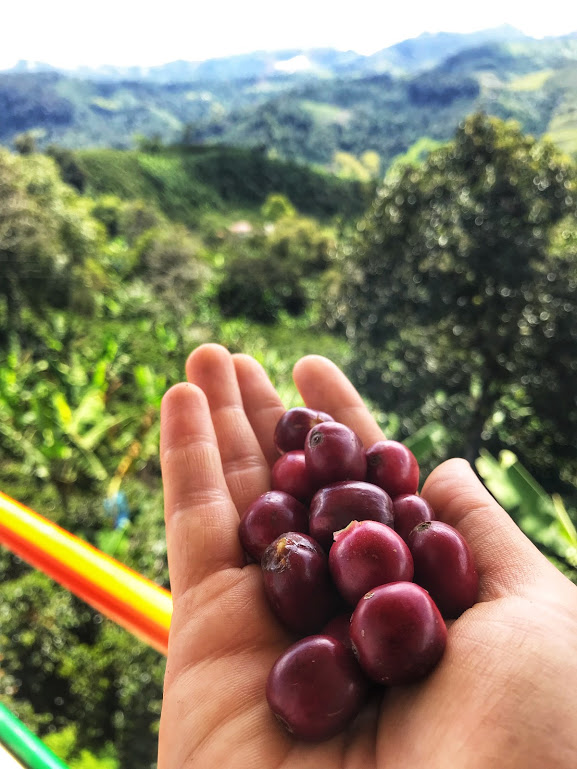 The high elevation, steep terrain and micro-climates make for a challenging, unique coffee growing region. This blend was selected from 48 farmers in 17 municipalities. The average altitude of the farms is 1783 masl and varieties include Castillo and Colombia. Nariño Cup Profile: Sweet, orange, juicy, balanced, buttery body, crisp apple acidity. Cauca is located in southern Colombia, where coffee is grown in fertile volcanic soil. The Cordillera de Occidental, Central and Oriental (mountain ranges) offer unique climate conditions favorable for high quality coffee, with more than 94,000 families growing coffee. This blend was selected from 46 farmers in 17 municipalities. The average altitude is 1760 masl and varieties include Castillo and Colombia. Cauca Cup Profile: Floral, lemon-lime acidity, creamy body, citrus, chocolate.